UPS Teamsters contract battle continues in Tampa, FL | Fight Back! 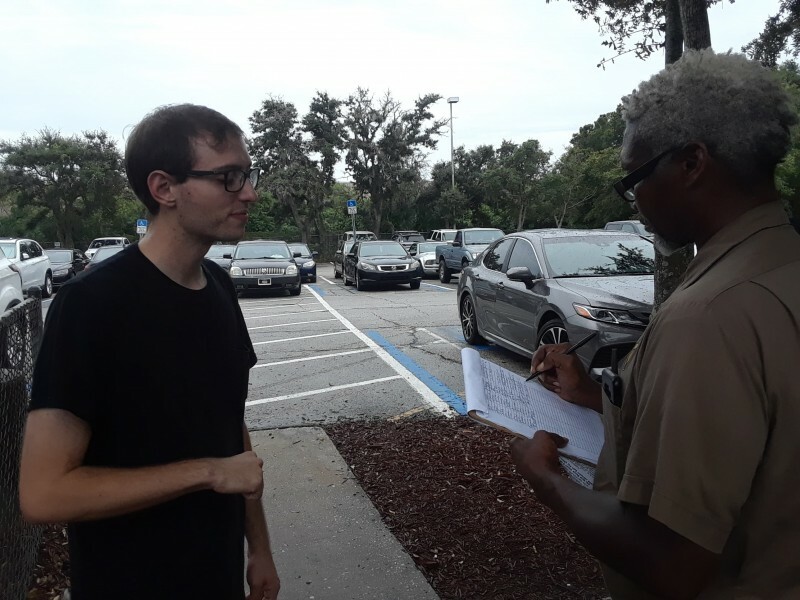 Tampa, FL - Rank-and-file trade union activists from Teamsters Local 79 hit the gates, Oct. 8, getting petition signatures and handing out call-in information to pressure the IBT National Negotiating Committee into further negotiations with UPS. This comes after Denis Taylor and the Hoffa administration announced the ratification of the contract, despite it being rejected by the membership. “The fact of the matter is we had a majority no vote and historic turnout. Rank-and-file Teamsters don’t want this contract.” said Gage LaCharite, a trade union activist. “I feel like we haven’t been represented. What’s the point of even having a vote if they’re just going to push it through?” continued LaCharite.